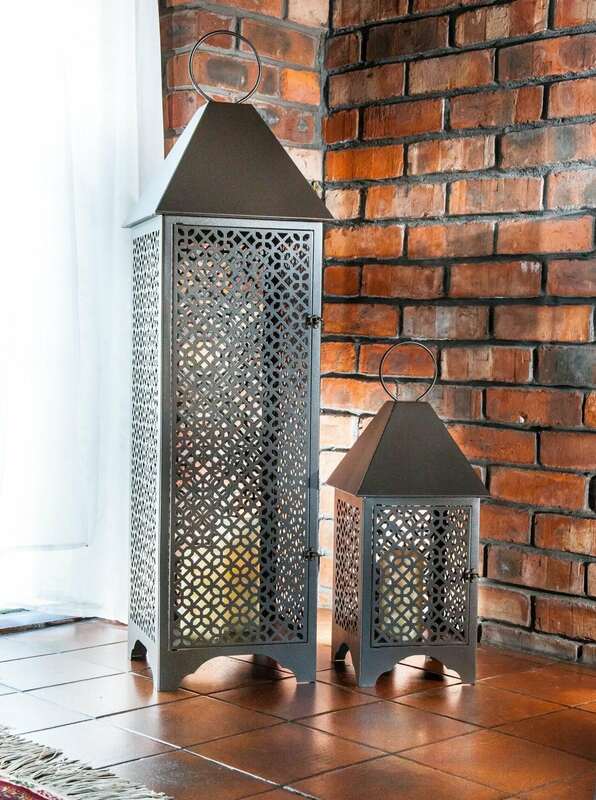 For a chic and stylish look, our metal garden and Moroccan candle lanterns offer a gorgeous addition to your outdoor space!Do you want to create an inspiring garden? A pleasant outdoor area can really make a house a home. It doesn’t matter if your garden is big or small, our lanterns work well in all circumstances and look just fabulous on a terrace area and decking. Illuminating your garden with the romantic flicker of a candle, our lanterns are available in various designs. One of our most popular styles is the Moroccan design, inspired by the rich cultural traditions and history of Morocco. The laser cut fretwork casts attractive light shards across the garden and also offers wind protection. Featuring a handy access door and carrying ring, these are the perfect design for any garden! It’s not just outside that can benefit from our beautiful metal garden lanterns, they also look lovely in the home and can enhance your conservatory or living room. Although we offer a range of standard designs, we also specialise in creating bespoke orders for our customers. We want you to get the best product to suit your needs, we are therefore well equipped for custom designs and are more than happy to work with you on a product that is perfect for your needs! Please don’t hesitate to get in touch for further information regarding our lanterns or custom designs.